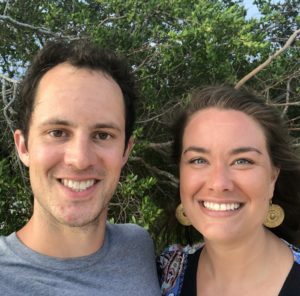 Zach and Emily serve in East Asia (Undisclosed Location) in a major university city, multiplying disciples in the universities where they work. Regularly introducing lost college students to Jesus. Holding a training to help young believers learn how to share their faith and disciple others. Training and developing newly arrived long-term laborers from the States. For us to both walk closely with and enjoy the Lord, and to be filled with the Spirit moment by moment. For our marriage to grow and deepen in God’s design. For our team to love and encourage one another and bear one another’s burdens. For college students in our city to respond to the Good News of Christ and treasure Him beyond all else. For Christian students to consistently pursue growth in their walk with the Lord. For a movement of Christian students who take hold of the vision to reach their campus with the Gospel. If you wish to receive regular email updates, please email info@biblechurch.org and we’ll coordinate you getting on their mailing list. Perhaps God has placed a desire in your heart to pray for our partners everywhere, or maybe for one particular missionary. Either way, God has a great plan to use you to help complete his mission of making his name known among the nations as you participate through prayer. Use these seven points to fuel your prayers for missionaries and Bible translation work around the world. As the gospel of Jesus Christ transforms our lives, through the working of the Holy Spirit, we participate in God’s work of transforming our cities and our world. We encourage grassroots initiatives from our members, while also providing structured opportunities to serve and impact our cities. Pastor Roddy grew up in Rio de Janeiro, Brazil, and moved to Bristol, TN when he was 13. He is fluent in several different languages including English, Portuguese, Spanish, and German and has done ministry on four different continents. Roddy and his wife, Katie, have three sons: Gabe, Elijah, and Jackson. Equipping our church as a community to reach the Triangle and beyond with the message of Jesus. Chapel Hill Bible Church exists to glorify God by being transformed by the gospel: our lives, our cities, and our world.